Assemblywoman Shirley Weber, D-San Diego. After suffering years of defeat through failed legislation, a high-profile lawsuit and a ballot proposition, advocates of teacher tenure reform in California will make another attempt with a bill introduced Monday that this time was crafted with wide input from teachers statewide. The proposed change, extending the probationary period from two to three years, would align California with the vast majority of teacher tenure laws throughout the country, which award tenure after three to five years of teaching. Under the current system in California, administrators must decide whether a new teacher will be given permanent status by March 15 of the teacher’s second year. The new bill extends the probationary period to three years and would also allow some teachers who don’t meet the requirements in three years a fourth or fifth year during which they would receive additional mentoring and professional development. 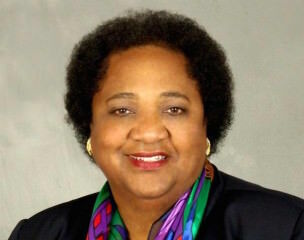 “When I served on the school board, I saw how unjust the current system was in terms of its ability to help teachers become effective,” said Assemblywoman Shirley Weber, D-San Diego, who on Monday introduced AB 1220, called the Teacher and Student Success Act. Weber, who was a teacher and member of the San Diego Unified school board, said it’s impossible to determine if a teacher will be effective after just 18 months in the classroom and said the process is unfair to new teachers and students. In 42 other states, teachers are awarded tenure after three to five years of teaching, according to Weber’s office. The extra year of probation is critical for teachers to develop and for administrators who are evaluating new teachers to make a fully informed decision about a new teacher’s potential, said Mike Stryer, California senior executive director of Teach Plus, which is sponsoring the bill with Educators 4 Excellence-Los Angeles. “We feel this is a really important bill, a well-crafted bill. It really kind of addresses what teachers throughout California believe in when they’re thinking about tenure,” Stryer said. He pointed to a Teach Plus survey of 506 unionized teachers in traditional schools statewide that showed 85 percent of teachers think that tenure should be granted after at least three years of classroom instruction. Joshua Pechthalt, president of the California Federation of Teachers, one of the state’s largest teachers unions, said his members haven’t taken a formal position on the bill, but they are likely to oppose it. “It really misses the boat in terms of what is needed to improve or make sure that beginning teachers are prepared and ready to assume a classroom,” he said. Pechthalt said more administrators are needed to observe new teachers and give feedback during the probationary period. He said extending probation by a year isn’t the answer. A California Teachers Association spokesman said the union has not taken a position on the bill, but its state council will review it this weekend. Even if both teachers unions oppose the bill, it doesn’t necessarily mean it will be dead on arrival, Weber said. She pointed to her bill last session that would have amended the state’s teacher evaluation system. AB 2826 was opposed by the unions but passed both the House and Senate. Gov. Jerry Brown ultimately vetoed it. She said it’s not a “let’s get rid of teachers” bill, but a bill about supporting teachers. Bootsie Battle-Holt, a math teacher at Marina Del Rey Middle School and 2016 LAUSD and LA County Teacher of the Year and former Teach Plus Teaching Policy fellow, said teachers want tenure to be an earned benchmark, which is awarded because they have demonstrated a certain level of effectiveness. “There was no sort of earning that tenure, other than the fact that I lasted however long I was in the classroom,” she said. Battle-Holt said she likes that the bill requires school districts to provide new teachers additional support if they do not make tenure after three years. There have been failed attempts to reform the state’s tenure system in the past. A bill that would have also extended the time from two to three years that districts have to decide whether a new teacher should receive tenure or be dismissed failed in the Senate Education Committee last year. That bill, sponsored by Assemblywoman Susan Bonilla (D-Concord), was initially supported by education reformers, including Teach Plus, but became watered down during the legislative process and many groups removed their support. Stryer said the difference between Bonilla’s and Weber’s bills is that Weber’s bill focuses solely on tenure, while Bonilla’s bill attempted to tackle other policy areas. In 2005, then-Gov. Arnold Schwarzenegger authored a ballot proposition that would have changed teacher tenure from two to five years. It was defeated with 55 percent of the voters opposed. Stryer said he believes the legislative process is the best avenue to amend the tenure system. Vergara v. California, a landmark lawsuit filed by Students Matter on behalf of nine California students, challenged the state’s tenure system as well as other teacher protections, arguing that the laws were unconstitutional and caused students of color and low-income students to be disproportionately taught by ineffective teachers. In 2014, a Los Angeles County Superior Court judge sided with the students, but an appellate court reversed the ruling. Last summer, the state Supreme Court refused to take up the case, letting the appellate court ruling stand. The Assembly Committee on Education will hear the bill sometime early next month.